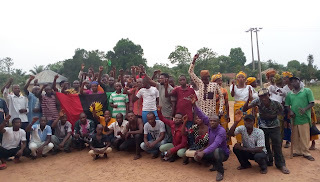 The Indigenous People Of Biafra in Ebonyi state officially inaugurated Ndiaguazu Enyibichiri IPOB family zone in Ikwo LGA, Abakaliki province on Friday 15th March, 2019. 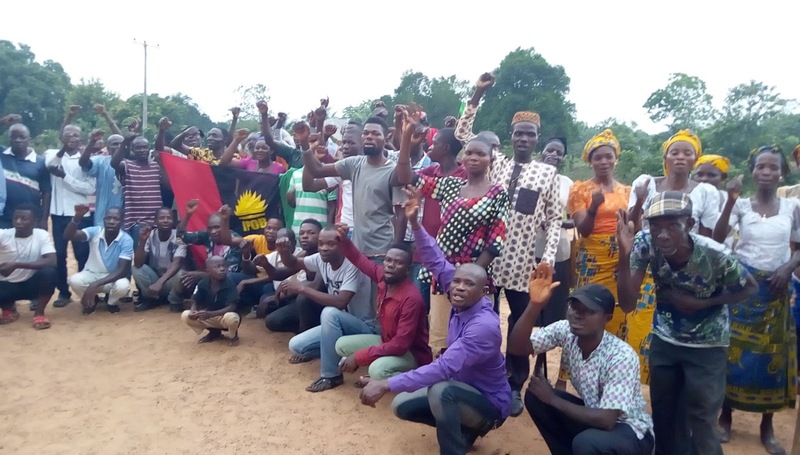 The inauguration was attended by some principal officers of IPOB in Ikwo local government area including the Ebonyi central senatorial district, Mazi Ikechukwu Nwankwo and the Ikwo LGA coordinator Mazi Nwikpuka Boniface. The senatorial district coordinator of Ebonyi central, Mazi Ikechukwu Nwankwo encouraged the people to rise up to their feet and leave up to their responsibilities in the agitation to restore Biafra. 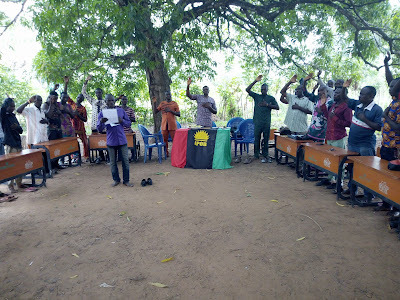 He urged them to go for evangelism in order to win more souls to the family of IPOB. 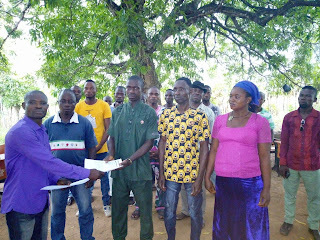 Mazi Nwikpuka Boniface the Ikwo LGA coordinator appreciated the efforts of those who organized the family zone. He encouraged them to always attend meetings to follow up with the activities in the struggle. The inauguration was attended by Mazi Ugwu Emmanuel the coordinator Abofia zone in Ebonyi LGA and others who helped to establish the family. 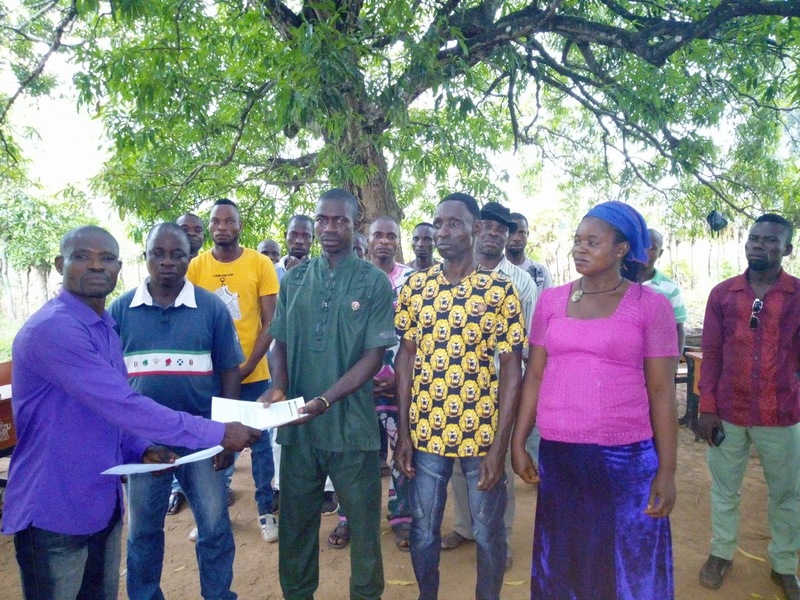 The coordinator of the newly inaugurated family zone which comprises Federal University Ndufu Alike Ikwo family and Ndiaguazu Enyibichiri family, appreciated the principal officers of the local government and the senatorial who attended the inauguration. He pledged to work very hard to make sure that their people accepted the gospel of Biafra restoration and how to join IPOB. An elder also the Biafra war veteran, Dickland Nwibo briefly analysed the perilous situations Biafrans were subjected into by the Nigeria government led by Yakubu Gowon, how they were subjected into untold hardship and mayhem. He called on the entire Biafra people all over the world especially those in Biafra land to support Nnamdi Kanu and IPOB to get Biafra restored because "We have no hope and future in Nigeria".